Webmasters now have an easier, official app for tracking their website statistics on their iPhone with Google's new Analytics app, while celebrities and other public figures can more easily engage with their fanbases on Facebook thanks to the social network's new Mentions app. Google's new first-party app for its popular web analytics service makes it much easier for webmasters to keep tabs on their internet properties on the go. 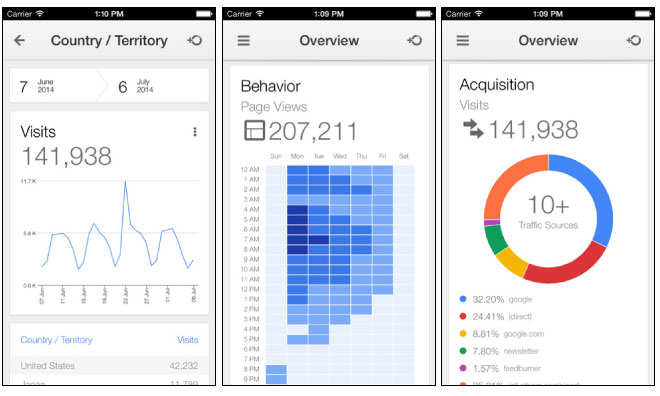 Until now, Google Analytics users have been forced to make do with the service's mobile website or third-party apps. In addition to top-line statistics on the number and geographic location of visits, users can drill down for more in-depth metrics. Page views and visits can be broken down by date and time, for instance, and cross-referenced against referrers to see where visitors are coming from. Google Analytics version 1.0 is available now as a free, 3.9-megabyte download from the App Store. 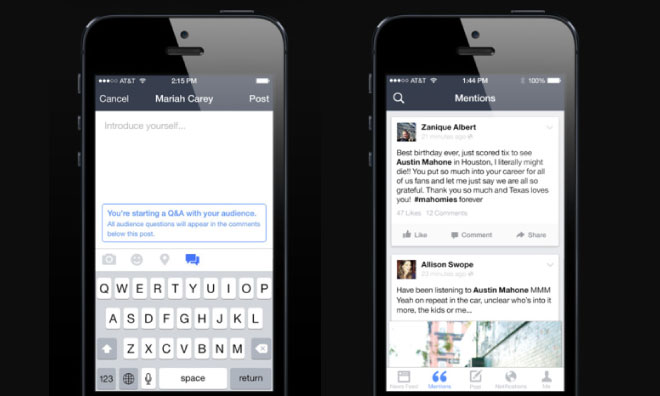 The new Facebook Mentions app is a dedicated Facebook management solution for celebrities or public figures who use a Facebook Page to connect with their fans. Only "tens of thousands" of Facebook's over 1 billion users will have access during the rollout. Those that do get access can follow along with conversations revolving around themselves or their brand, and respond directly to ongoing conversations. The app will also allow brand managers to share text updates, photos and videos on their page as well as hosting live question-and-answer sessions in a threaded conversation-style interface. Facebook Mentions version 1.0 is available now as a free, 65.1-megabyte download from the App Store.